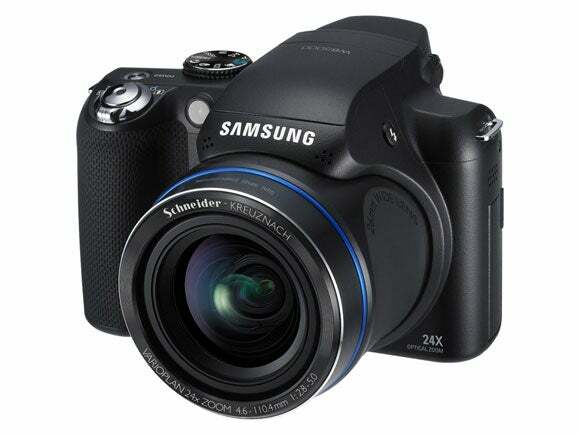 Samsung's compact, ultra-wide zoom camera offers a 26mm, 24x zoom lens, full manual control, Raw, 3in LCD, 6400ISO, and HD movie. 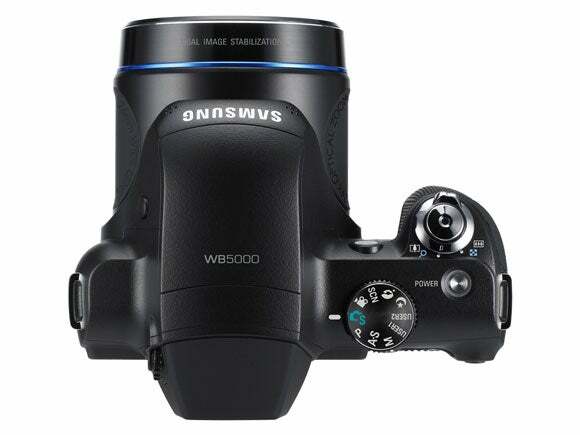 Following in Samsung’s move to create more advanced compact cameras, the WB5000 is designed to be the ultimate in creative control for the photography enthusiast. The camera features a Schneider-Kreuznach lens with a 24x optical zoom, offering a 26mm to 624mm equivalent. 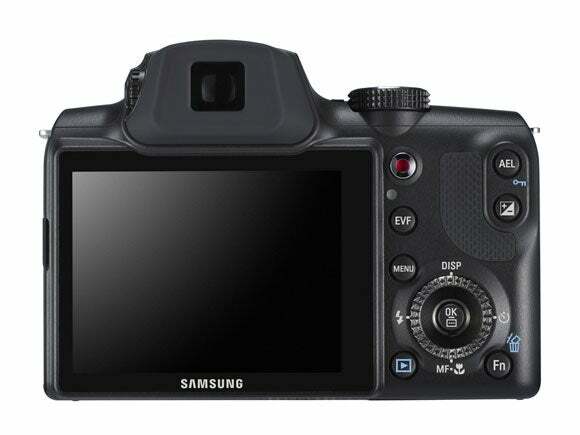 This means very wide performance, as well as a huge zoom for close ups. The WB5000 has a range of shooting modes, including aperture priority, shutter priority, full manual and two user defined modes from its dial. The lens can be focused manually and it also offers a choice of JPEG or Raw capture, bringing almost DSLR like control. Thereare two in-built stabilisation systems – one optical and one digital – and there’s also a high 6400 ISO mode (at reduced resolution). The sensor is 12.5 megapixels and also allows video capture in 720P (1280×720) high definition at 30fps, recorded in H.264 format. It also includes Samsung’s Smart Face Recognition and can store up to 20 recognised faces in its memory.